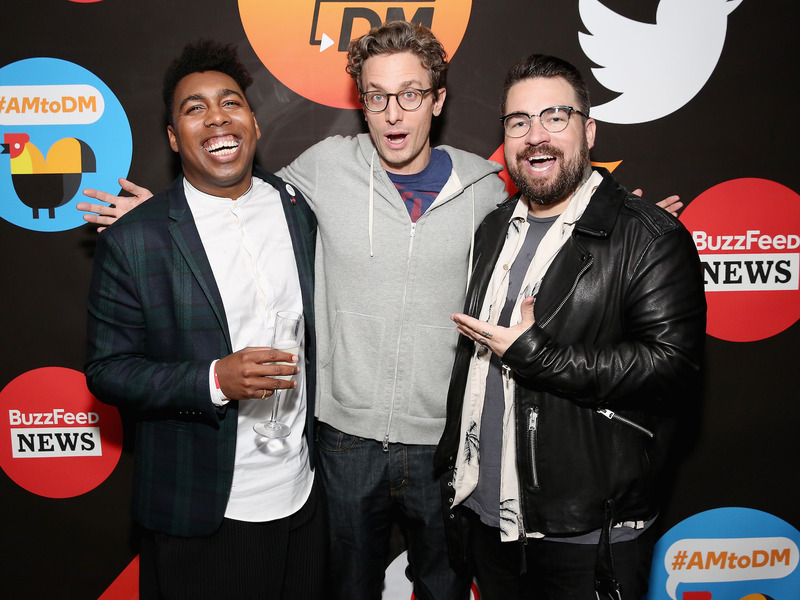 GettyBuzzFeed CEO Jonah Peretti with ‘AM to DM’ hosts Saeed Jones and Isaac Fitzgerald. He listed four reasons why the company should be worried, including its plateauing traffic, restless investors, and a content identity crisis. 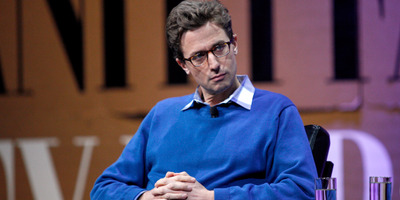 BuzzFeed’s jobs cull shows how it is caught in a “perfect storm” of problems, according to a respected media analyst. ComScore figures show US readership fell nearly 17% from 80 million unique users in December 2015 to 66.5 million in December 2017. It’s a similar story in the UK. BuzzFeed prefers Nielsen figures, which include Facebook and YouTube video views, and provide what it believes is a more accurate picture of its social-first strategy. BuzzFeed shared with Business Insider data for August to December 2017 – and it’s a steady upward curve. BuzzFeed’s US audience stood at 145.7 million in August, rose to 163.1 million in October, and fell to 158.3 million in December, according to Nielsen. It represents growth of nearly 9% over the five-month period. BuzzFeed also pointed to data from Tubular Labs, which analyses social and video audience. It showed it that BuzzFeed was the number one “cross-platform media and entertainment property” for 11 months last year. It is well-known that BuzzFeed missed its revenue targets last year, coming in 15-20% short of its $US350 million (£245 million) goal. Specifically, he admitted that some of the products it offered advertisers did not deliver enough return because they were labour intensive and more closely resembled TV adverts than BuzzFeed’s social roots. “There was demand from the market but it wasn’t an area where we felt we had enough of a competitive advantage, and it was something that was really underperforming relative to other products we had,” Peretti said. It has sought to address this by launching programmatic and display advertising for the first time last year. “We figured that there are also ways we can generate additional revenue from all the content we’re creating that don’t take a lot of extra effort,” Peretti said. McCabe said the advertising issues are far from unique to BuzzFeed. “The businesses that will be able to continue growing digital advertising are those with enormous scale, or those with almost entirely logged-in usage. In other words, you need to know who your users are – it makes an enormous difference to advertisers,” he explained. BuzzFeed’s backers include NBCUniversal and Hearst, but McCabe thinks they could be getting restless about the company’s prospects. He said there may be a creeping realisation among investors that what started as a tech venture in 2006 has grown up into more of a traditional media company, with all the higher costs that entails. “BuzzFeed has perhaps assumed they can grow top-line revenue at the same rate as in the glory days and investors have maybe just started to change their view of what is possible. Not just in terms of top-line growth, but also the cost base,” he explained. McCabe said that because it offers such an “extreme” mixture of high-quality investigative news and viral content, BuzzFeed can leave readers “confused” about its mission. McCabe did, however, praise BuzzFeed’s editorial ambition. It has led the agenda on a number of issues in the UK this month, including securing a leaked copy of the British government’s economic forecasts on the impact of Brexit. “BuzzFeed grew revenue, content views, unique visitors, and time spent in 2017; we’ve expanded our ad offering with new products and programmatic, and rapidly diversified revenue through commerce, licensing, and development for TV and film. And as Peretti pointed out to the Columbia Journalism Review, BuzzFeed is still a growth story. “We had another year of growth in 2017, but we’re always trying to grow more and faster,” he said.